WHERE TO GET ARTHRITIS TREATMENT IN DELHI NCR? - Advancells. 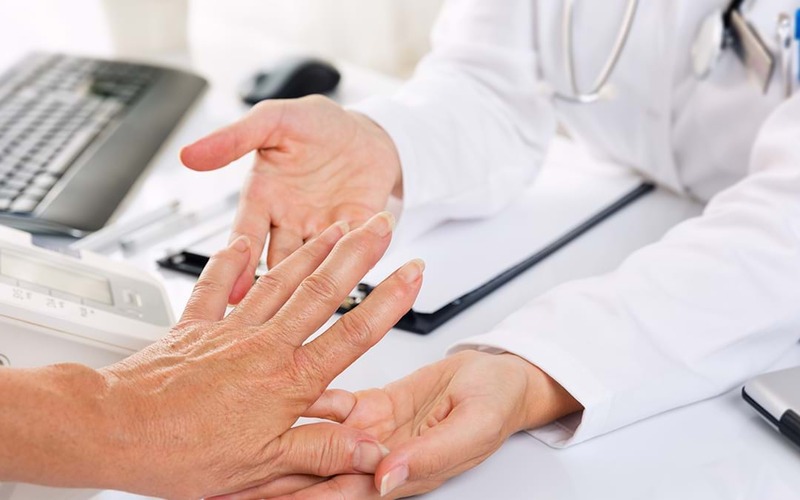 WHERE TO GET ARTHRITIS TREATMENT IN DELHI NCR? Arthritis is a progressive and painful condition that can affect both the young and the old, but commonly affect elder people. With an increasing aging population and obesity epidemic, its prevalence is likely to further increase. Arthritis is the major cause of disability and chronic pain across the world. In arthritis, the cartilage tissue that covers the ends of bones gets break down. Current medical treatment for arthritis focuses on relieving symptoms and pain and improving joint function. Typical treatments include weight reduction, exercise, non-steroidal anti-inflammatory drugs, glucocorticoid injections, visco supplements, physical therapy and bracing. Physical therapy or exercises can improve the muscle strength and movement. In some cases, joint surface is smoothed out with surgery to reduce pain and improve function. When these things stop working, surgical total knee replacement is the treatment of choice only. However, total knee replacements come with high effort and costs and are not always successful. It is of paramount importance to look for alternative treatment for arthritis. Scientists are focusing on joint preservation method rather than replacement surgery. A new treatment modality- stem cell therapy is being widely explored for arthritis. Stem cells are the basic building block of human body which has two special attributes- self renewal and multi lineage differentiation potential. The human body keeps a supply of stem cells to repair injured and degenerated tissues at all times, making it simple to retrieve them for therapeutic purposes. Let us have a glimpse of clinical studies on arthritis with stem cells. Recently, a study evaluated the safety and preliminary efficacy of administering adipose tissue derived SVF and PRP intra-articularly into patients with osteoarthritis grade 1 and 2. They reported a reduction in pain levels, especially after 3 months. Following a single intra-articular injection of 100 million MSCs, radiological (MRI) follow-up at 6 months showed increased cartilage volume and histological assessment confirmed hyaline–like cartilage regeneration with the presence of type II collagen. More importantly, the procedure demonstrated a strong safety profile with no severe adverse events or complications reported. Another study evaluated the potential of bone marrow derived mononuclear cells (BM MNC) in patients with knee osteoarthrits grade II and III. A total of 34 knees were treated with BM MNC injections with the mean age of patient 53.96 ± 14.15 years. The average injected cell count of BM MNCs was 50 million cells. No adverse effects after the BM-MNC injection were observed. The clinical results analyzed with the Knee injury and Osteoarthritis Outcome Score (KOOS) exhibited improvement in almost 60% of patients. With these promising results, stem cells may open up potential novel avenues for arthritis treatment. A lot of stem cell clinics are blooming in India offering stem cell treatment for various disease conditions. Advancells based at Noida, is one of the leading institutions in India in the field of stem cell-based regenerative medicine therapy. As a pioneer stem cell company, Advancells is developing stem cell treatments to harness the limitless potential of mesenchymal stem cells in delivering a natural cure for many ailments including arthritis. The Advancells aims to provide patients a complete solution starting from preparation of the body to receive the transplant of the most viable, safe and efficient quantity and quality of stem cells extracted from a source most suitable for the disease to the actual transplant and post transplant preparations and follow up for the patient. Stem cells hold great potential as treatment, because they can communicate valuable information about tissue growth and healing to other cells in the body.